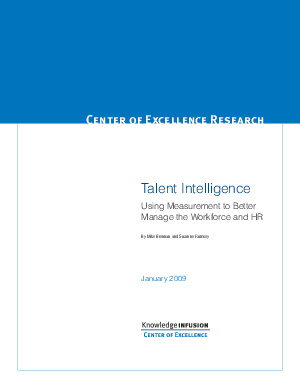 Talent Intelligence: Using Measurement to Better Manage the Workforce and HR: How can you better understand and engage your people for higher business performance? Talent intelligence aligns workforce data with business information to drive better decisions. Now HR can measure talent success, engage with the business, and implement integrated talent management technology and processes. Find out how from Knowledge Infusion.